Pastor David and his wife Terrie were called to Church in the Hills, January of 2012. 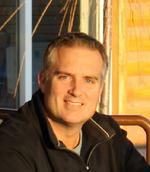 David grew up in Ashland, Ohio and graduated from Ashland University in 1993 with a major in religion and philosophy. David received his Master of Divinity at Princeton Theological Seminary in 1996 and was ordained and called to The Presbyterian Church of Traverse City, Michigan, where he served as Associate for Youth and Families for over fifteen years. David and his wife Terrie were married in 1984 and have two daughters Mallory and Hannah. 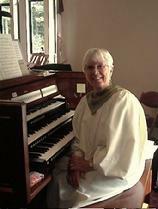 Dorothy Clore, has a BA degree with a minor in music from Albion College, where she studies organ with John Obetz. She has been a church organist and choir director periodically for the last thirty years, the past six at Church in the Hills. A member of the American Guild of Organist, Dorothy continues to study by attending workshops both in organ and vocal music. The adult choir at Church in the Hills sings 3 out of 4 Sundays year round and number between 8 member in the winter and 25 in the summer.